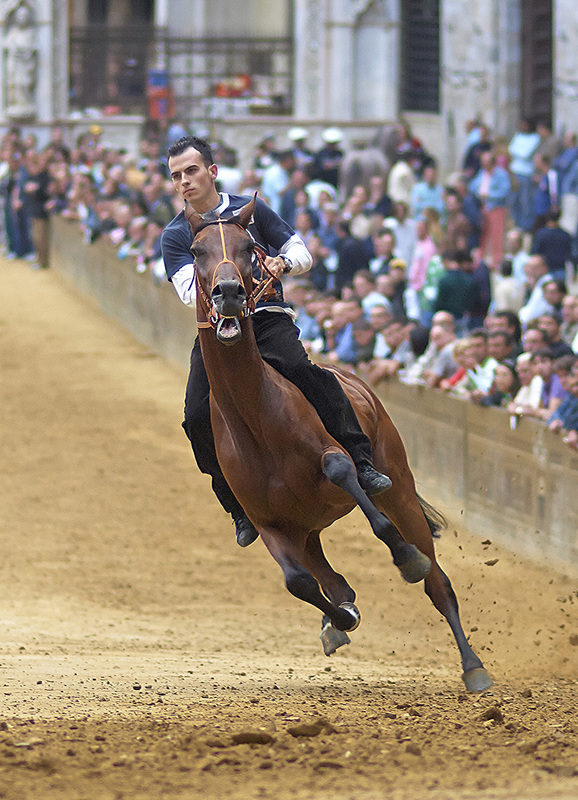 The Palio is a Sienese tradition that dates back over seven hundred years. The city of Siena is situated in the heart of Tuscany, Italy. It is a four day celebration which culminates in a bare back horse race around the historical piazza, the Campo, on the 2nd of July and 16th of August of every year. The race comprises of ten of the cities seventeen contradas. 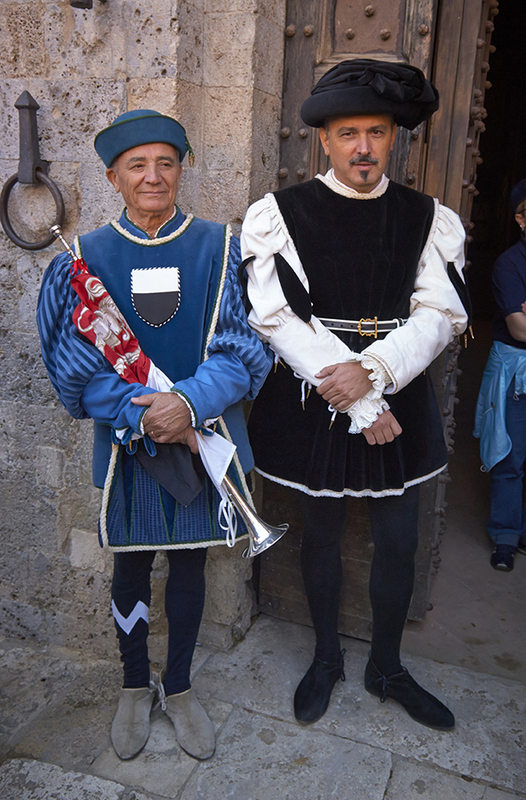 Each contrada has its own district in the city, its own identity, colours, culture, history heritage, church and museum. 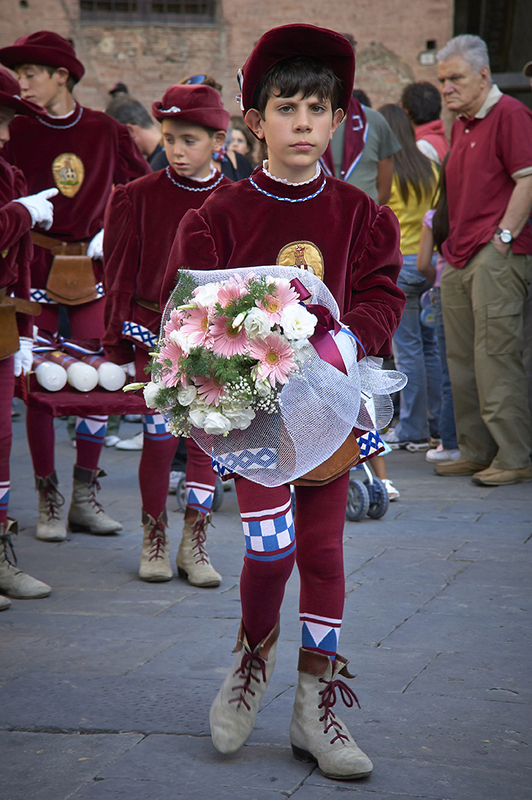 The members of each contrada can number anywhere between three hundred and three thousand. Each race is run with the seven contrada’s that did not race in the previous Palio, with the other three places decided by lots. 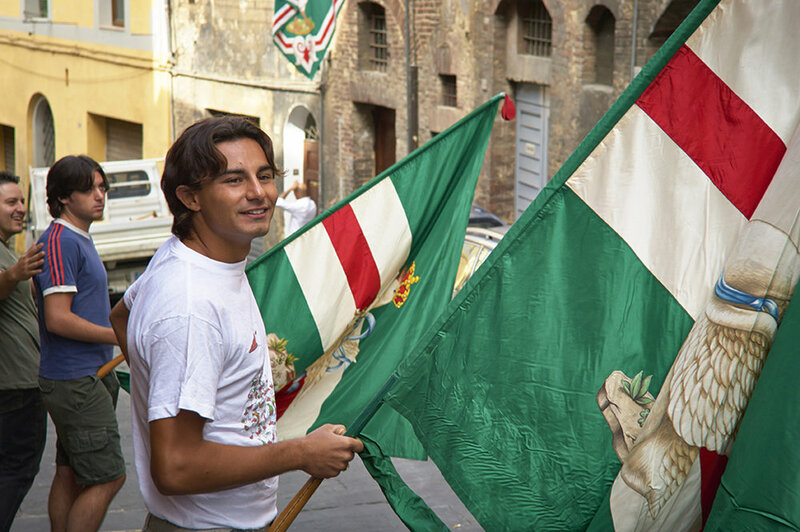 They compete for ‘The Palio’ which is a tapestry banner and is displayed in the contrada’s museum after victory. The four day celebration and pageant is a spectacular event full of high passion and emotion. 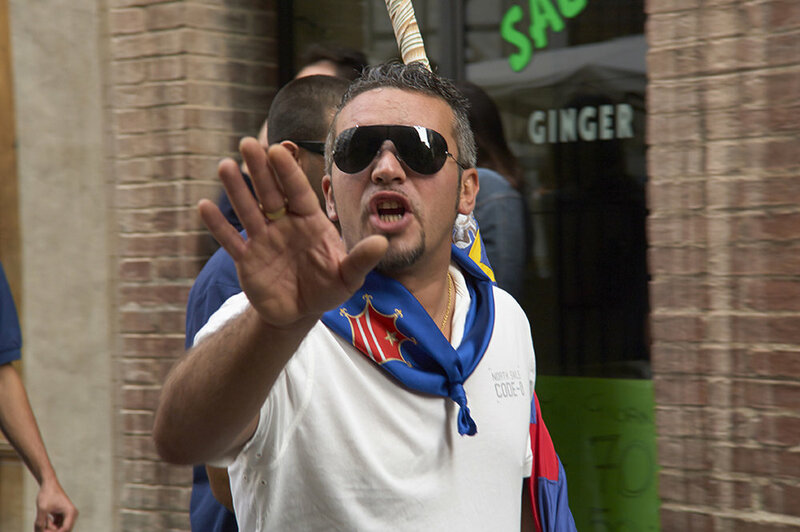 The Palio is not a horse race. It is not a spectacle. It is not an oil painting folklore for tourists, nor is it an occasion for a pleasant journey into the past. The Palio is life. It is a group participation and at the same time an exceptionally intense individual emotion. It helps us to understand ourselves and much of our daily life. It helps us rediscover the value of our ardent desires and feelings - the Palio is a race of the soul.